In previous post, I expplained how to secure OSB proxy service. 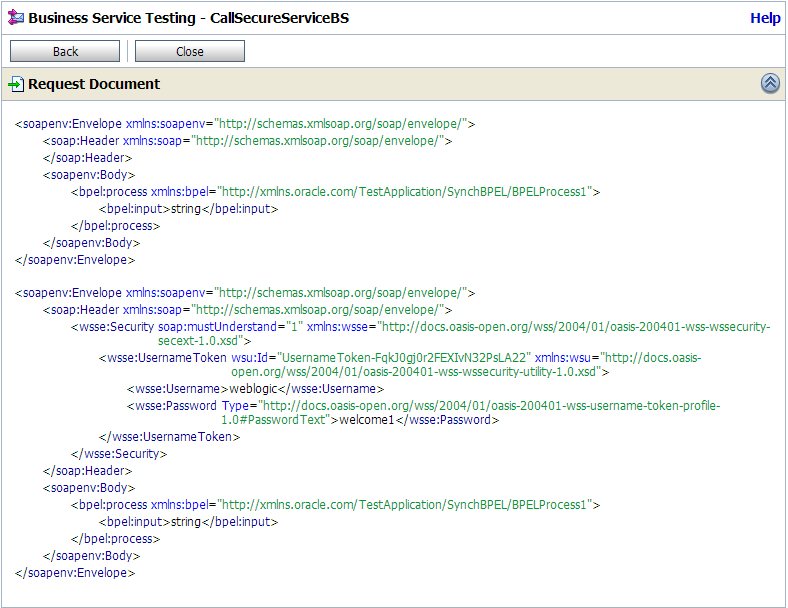 In this post, I will show how to invoke secure service from Oracle Service Bus. For this post, we took one SOA composite which is deployed on soa server. We secured that service using user name token service policy. Since this service is secured so we will see how we can this secured service from Oracle Service Bus. SOA composite is secured by OWSM policy. Follow below steps to invoke this secure service from OSB. First create a OSB project, add require folders to it. Import SOA composite WSDL and XSD file to OSB project. 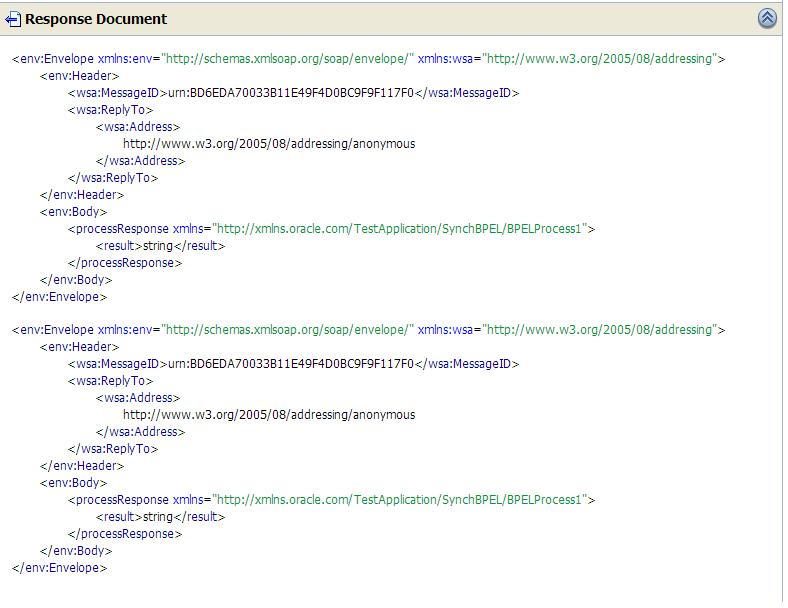 Create business service using SOA composite WSDL file. Accept default and save this service. When you try to save the service, you may get this error. Now click on newly created business service and go to “Policies” tab. Choose “from OWSM Policy Store” option. 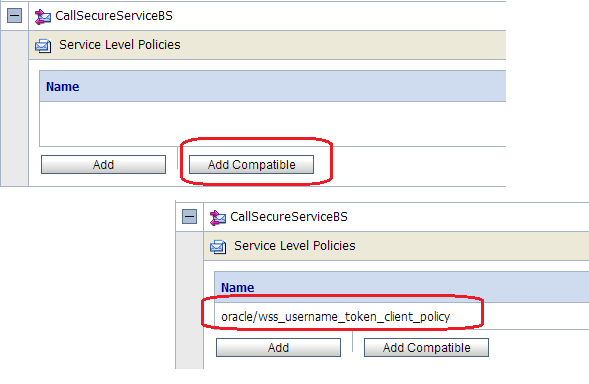 Then click on “Add compatible” button, this will add required user name token client policy to the business service. Now go to “Security” tab of business service, here we will add CSF-Key which contain required user credentials to access SOA composite. Check my post to see how to create CSF-key. Save your business service and we are ready to test it. Test business service, you see we can invoke secure service from OSB.